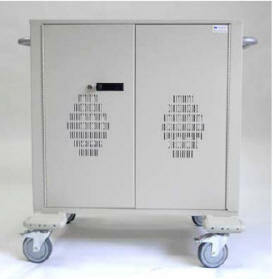 Charging Carts Cabinets and Cases - Datamation Systems, Inc. 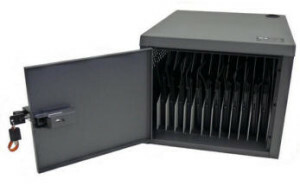 When notebooks are used in classrooms and training facilities, they are often vulnerable to theft and unauthorized use. So are tablets, iPads and eReaders, as well as Chromebooks. 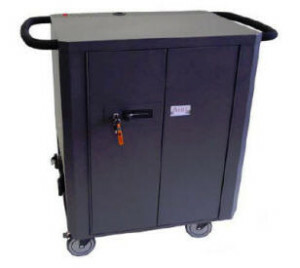 Schools, universities, corporate training facilities and conference centers protect this valuable equipment in our Laptop Carts, Cabinets and Cases specifically designed to secure, transport and re-charge your valubale equipment. 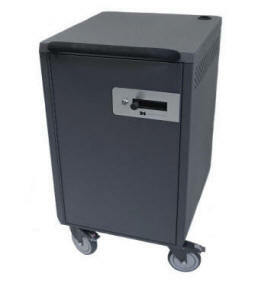 Laptop carts and cabinets should have welded steel construction for durability. 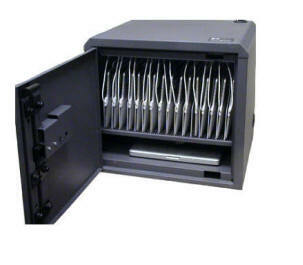 Make sure the laptop cart or cabinet has a very secure lock. 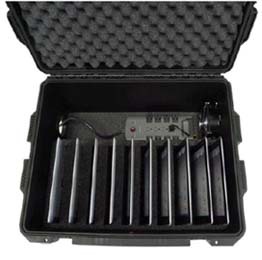 You are protecting a lot of valuable equipment and security is a critical feature. Electrical outlets should allow for recharging notebook computers and the use of peripherals (such as printers and access points). Whenever possible, electrical outlets should provide surge-protection. Wheels should be easy to push and lock. Large wheel options should be available. Shelves should have large clearance for easy handling and flexibility for future technology. Shelves should be individually removable so you can configure the inside of carts as your needs change. 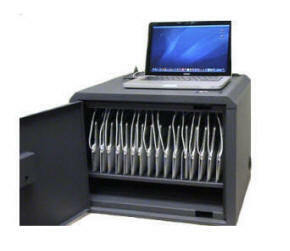 Whether you are storing Dell, Lenovo or HP notebooks, 17” notebooks, MacBooks, iPads, tablets, Chromebooks, Nooks, Kindles or any computing device, we offer carts and cabinets that support the appropriate sized equipment. 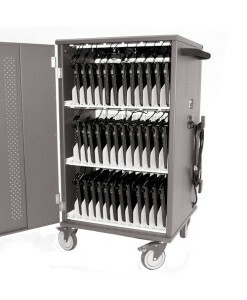 Carts storing 10, 16, 20, 24, 30, 36 or 40 devices are available, as well as tabletop solutions securing and charging lesser capacities. We also offer other accessories such as 8” tire kits, syncing conversion kits and a power distribution controller that prevents the risk of overloading circuits. 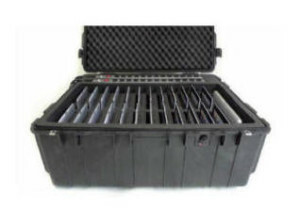 Transport cases: Several configurations allow you to transport, secure and even charge notebooks, Chromecarts, tablets and other devices. 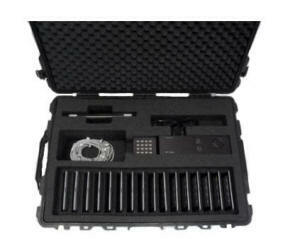 They are perfect for shared equipment in training centers, conferences, trade shows, etc. Custom configurations are also possible.